The poem below was written by José Coronel Urtecho (1906-1994) in the months following the July 1979 Sandinista Revolution in Nicaragua. These were the days of innocence and euphoria, the likes of which had never before been known in that very poor Central American country. In those early days of the revolution the whole country was undergoing a radical transformation; the young, educated few were going out in brigades into the countryside and the poor urban neighbourhoods bringing the gift of literacy to the hundreds of thousands who had been denied any sort of education under the successive governments of the US-backed Somoza dictatorship. Alongside, there were brigades of doctors and nurses and health workers taking healthcare, for the first time ever, to the same marginalized sectors of the population in order to vaccinate, to provide antenatal and perinatal care and to conduct an all-out offensive against infant mortality and preventable disease. 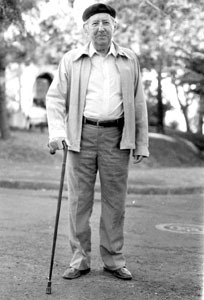 Coronel Urtecho, one of Nicaragua’s greatest poets, had earlier in his life been a supporter of the Somoza dictatorship but he was gradually radicalized through contact with members of the Sandinista National Liberation front, and Panels of Hell was written as an act of contrition for the sins of his earlier ideological beliefs. My translation of the poem was eventually published by Harold Pinter in 1989 at the height of the illegal Contra war against the people of Nicaragua, instigated by Ronald Reagan and spearheaded by the Oliver North. It is salutary, on this Columbus Day 2015, to reflect on the significance of today’s commemorations, to ask exactly who in the Amercias has anything to commemorate, to speculate how the native American peoples, for example, might be taking Christopher Columbus to their hearts, how the poor and dispossessed of the Americas might like to remember that fateful day, 12 October 1492, when according to his log, Columbus, in his search for a new route to the spice lands of the East, first sighted land in the West. The two avatars of that discovery were (and remain to this day) wealth and poverty, or as they are known euphemistically: North and South! Happy Columbus Day! conquerors of America and his murderous descendants? America—admired by Truman—and of his murderous successors?